Orange is a playful color that looks great with darker wood tones and pink hues, taking us right back to the '60s and '70s. Over the last year its popularity has once again increased and we're now seeing an influx of the bright shade in our favorite home ware haunts. Are you onboard? 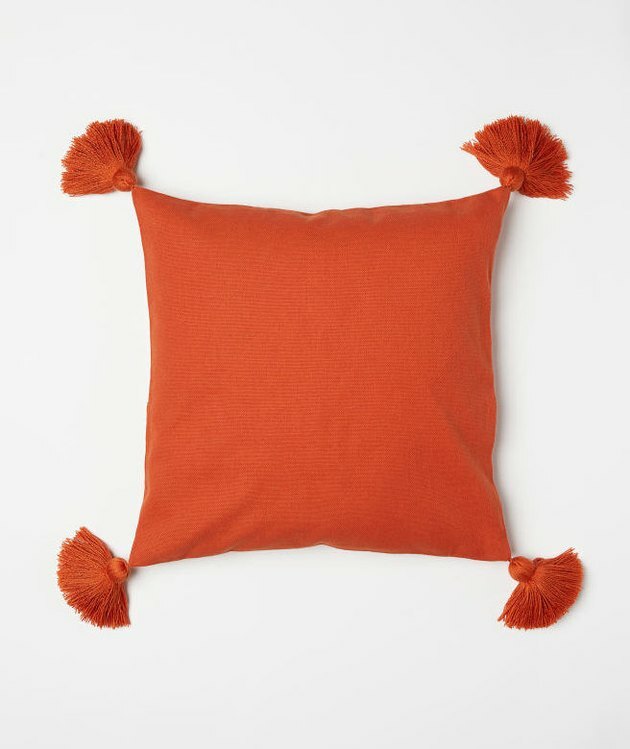 Here are 10 pieces of orange living room decor that we think you should be adding to your cart right now. 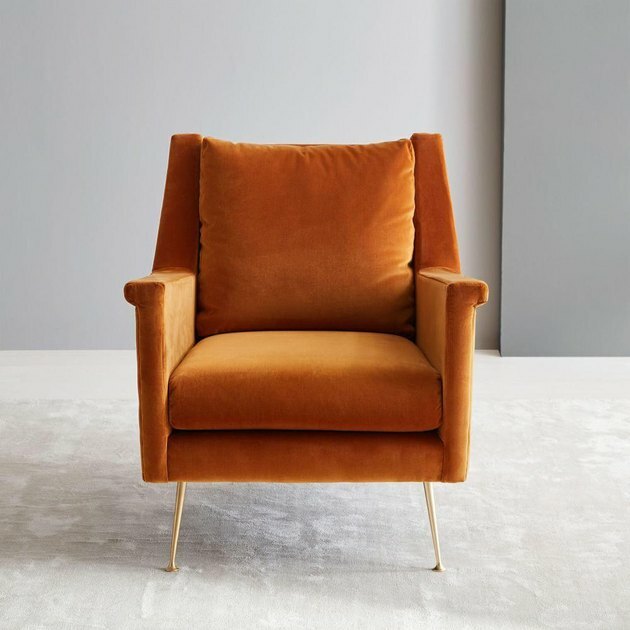 Make a statement with a pair of midcentury velvet armchairs from West Elm. This Italian-inspired design has taken on a sophisticated look thanks to the dark cardamom shade and brass leg detail. Wonderful for snuggling up with a good read. 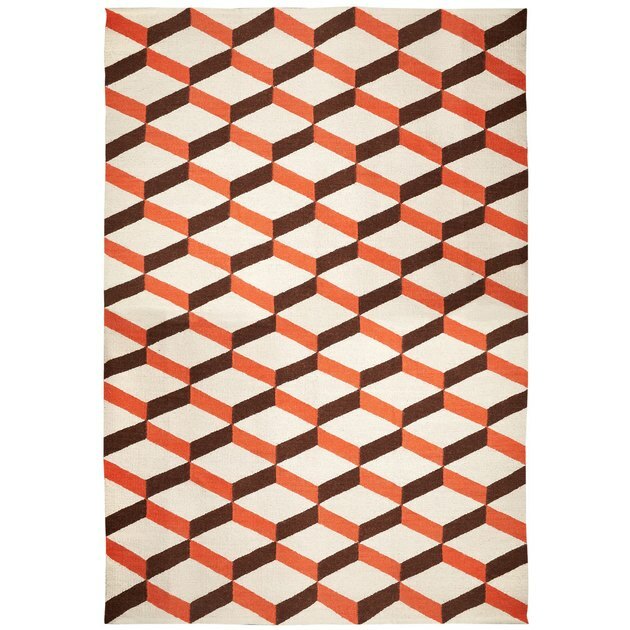 Take inspiration from the interior styling in A Clockwork Orange and add a statement geometric rug to your living room. Handmade in Peru by expert weavers, sourced with help from Aid to Artisans, this reversible flat-weave rug will help replicate those retro vibes. 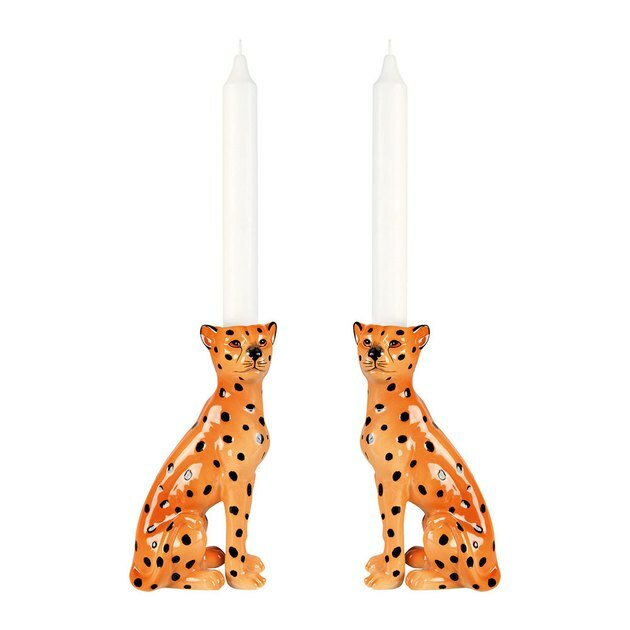 Bring a hint of the jungle and a touch of orange living room decor to your abode with these ceramic leopard candleholders. Pop them on each side of your fireplace mantel with some taper candles to create a wildly symmetrical statement. 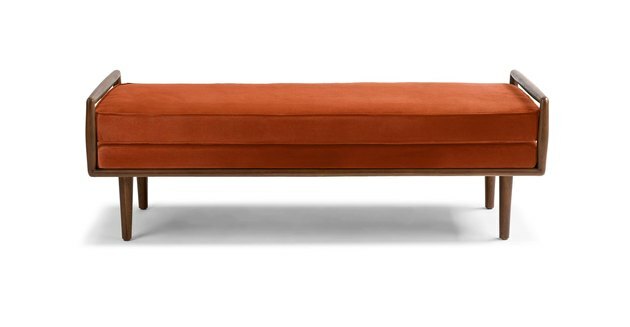 Change up your living room seating options with this walnut and persimmon orange living room decor. Positioning a bench around your coffee table can create more places for guests to perch while also ensuring that the focus remains on conversation rather than the television. 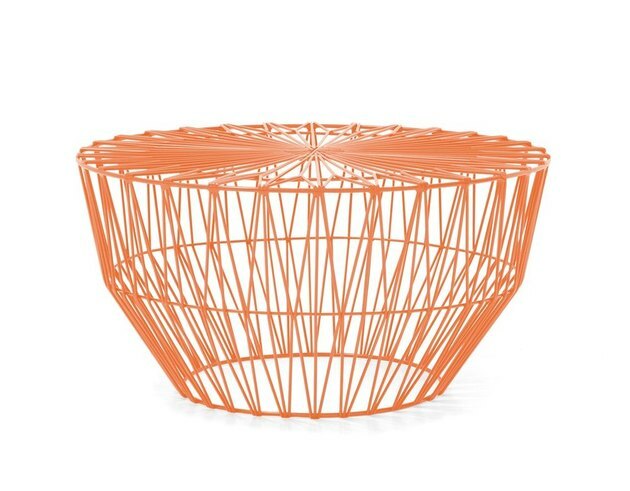 This orange wire coffee table designed by Bend Goods comes with an optional glass top — a great addition if you want to show off your coffee table books. And the round shape adds something a little different, bringing the ultimate bright-hued living room together beautifully. 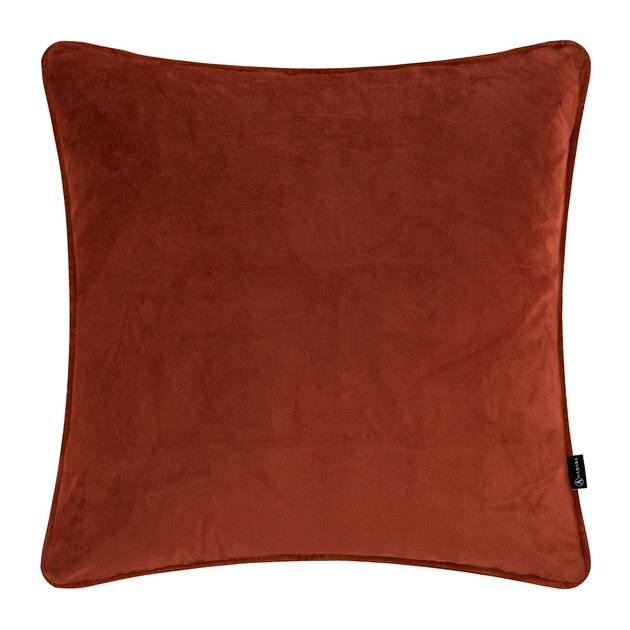 Clearly velvet is all the rage and this burnt sienna pillow does not disappoint. Add it to your sofa with a variety of other textures to create a vibrant, yet cozy space that's perfect for Netflix bingeing. 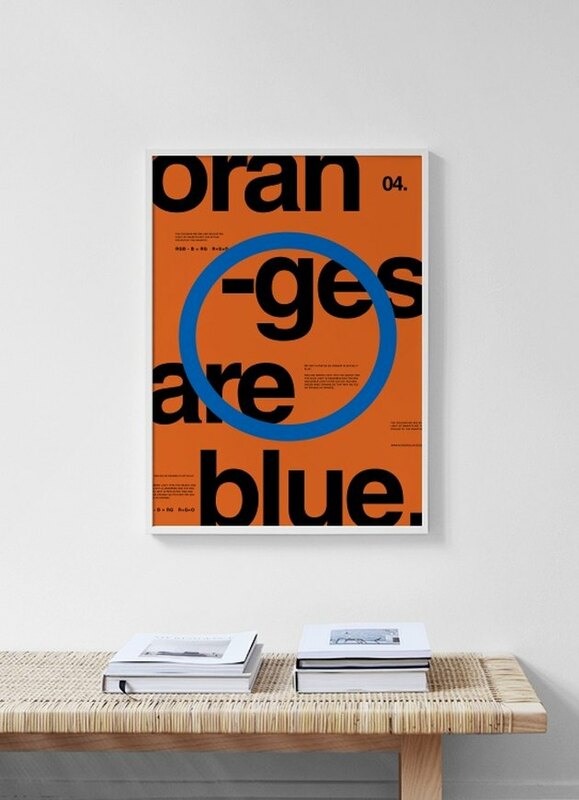 Say it with art and hang this modern typographic print on your living room wall. Printed on premium matte paper, this orange living room decor is ideal on its own as a feature piece or as part of a gallery wall. 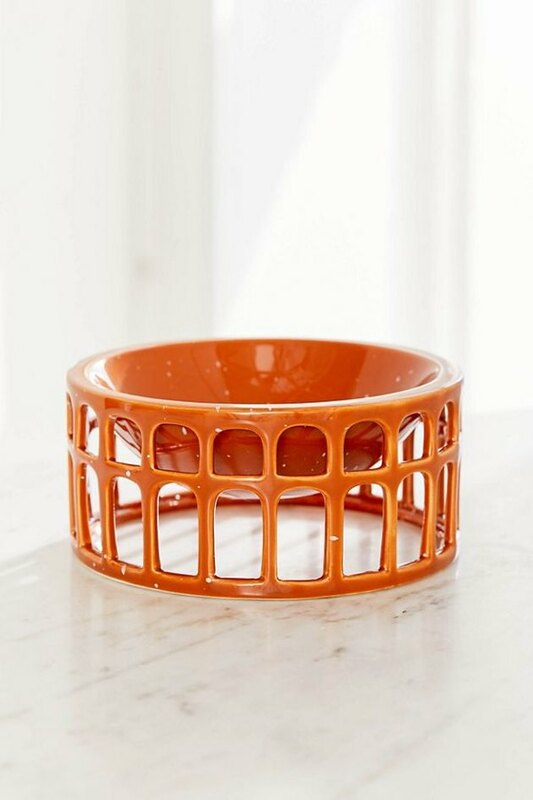 Serve your snacks in style with this sculptural bowl inspired by the Roman Colosseum; or simply place it on your coffee table as an objet d'art. The natural colors of the speckled terra-cotta make this an interesting piece for any collection. Chips and dip will never be the same again. You can never have too many throw pillows (OK, this isn't entirely true ... but you get the point), and this simple cotton canvas cover features a little something extra with its tasseled corners. Place it on an accent chair for an unexpected pop of color. 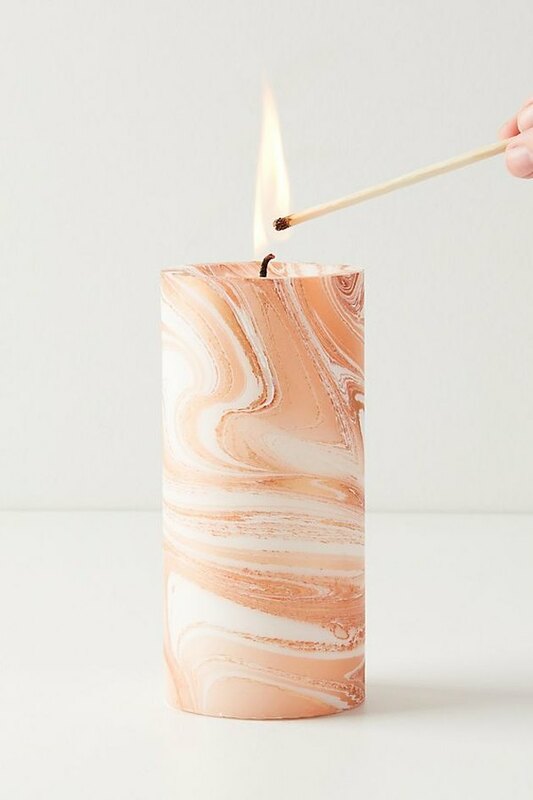 The soft swirled orange of this marbled pillar candle is great for minimalists or those only looking to incorporate a splash of the vibrant hue into their sitting room. This paraffin wax number is handmade by father-daughter duo Bill and Kim Padula, providing up to 60 hours of magical burn time.